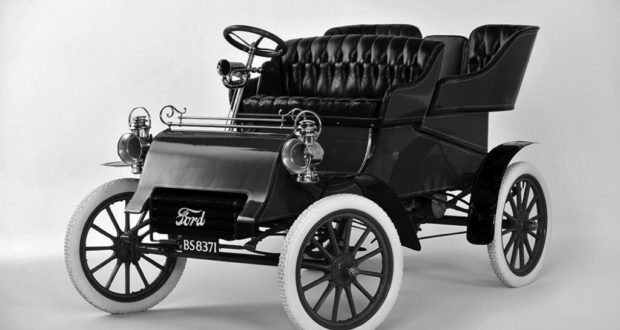 Car historians and gearheads alike are taken aback by the recently announced move by Ford Motor Company that it will no longer make traditional sedan models in an effort to save costs and focus on SUVs. Before you stand on a chair and wrap the Venetian blinds around your neck, not to worry, the Mustang made the cut. While car aficionados were distressed, Wall Street applauded. Ford shares rose on the news, up on a daily basis on the big board by some 3.8%. If you ever wonder why something is the way it is, always think of money first. Ford will concentrate on its more lucrative lines, like sports utilities, big trucks and crossovers. Of course, abandoning the sedan does not come without risk. First and foremost would be their loyal customers. With that said, those interested in models being discontinued are generally over 50 years of age, which means Ford will focus on tomorrow instead of yesterday. The numbers look like this. The automaker said it now expects to achieve an 8% global profit margin by 2020, two years sooner than planned. It upped its five-year cost-cutting goal to $25.5 billion, from the $14 billion projected by CEO Jim Hackett in October. This is the kind of draconian move that can shake things up at Ford, and prove there are no sacred cows in automobile modes. Shareholders would much rather see this kind of organic growth than government bailouts. Ford, through intelligent forecasting and business practice, was the only major American vehicle manufacturer to avoid restructuring and buyouts in the last recession. With everything on the table, Ford may follow the lead of General Motors is looking to withdraw from geographical regions that are not economical. The lion’s share of pre-tax profit comes from U.S. sales, which fell 9.2% to $1.94 billion, with commodity costs accounting for more than the entire decline. The Wall Street jury as the proxy for shareholders probably had a lot to do with putting pressure on the automaker to change in a big way. The jury is out because there is a conditional variable outside the market known as oil that weighs heavy on the industry. After all, that’s what happened when gas prices went up in the 2000s during the Great Recession. Joe six-pack dropped his Ford 150 for a Fusion because he couldn’t afford it. Why would one think it would be any different now? You would think that those at Ford making the calls would have insight into the futures market for oil. I would have to imagine there is a spreadsheet somewhere in Detroit that has the cause and effect relationship between oil prices and sales of gas guzzling vehicles. One of the things that has made the Ford brand as long-lasting and resilient as it is, is its ability to always think ahead to what customers want. It also tries hard to keep its shareholders happy, running a business that is not only trend-conscious, but profitable. Ford was resilient during the recession of 2007 and 2008, and appears to be proactive now, by trying to stay one step ahead of the competition.